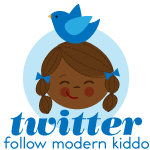 4th Annual Modern Kiddo We Love Homemade Costumes Parade! Step right up folks, it’s that time again! 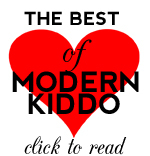 I am thrilled to present our Fourth Annual Modern Kiddo Costume Parade! 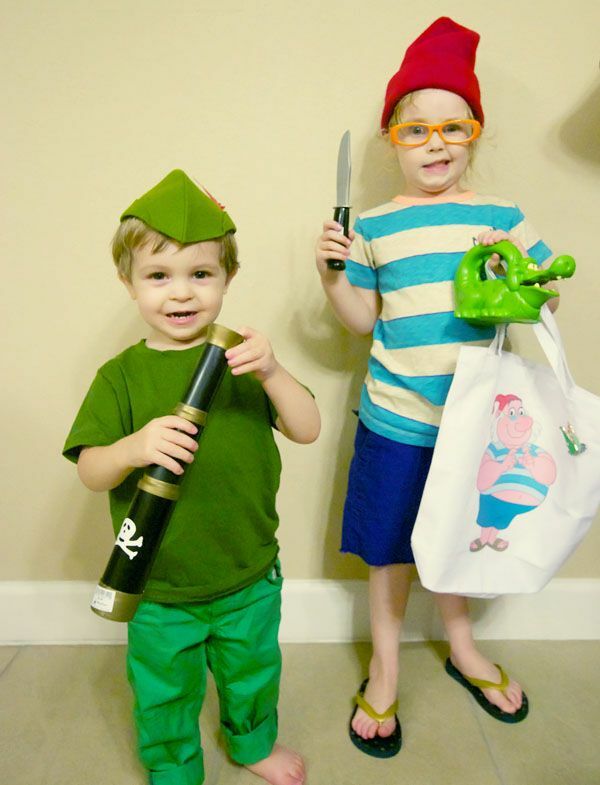 We said wanted to see yer best homemade costumes—the good, the bad, the semi disastrous. And you delivered! 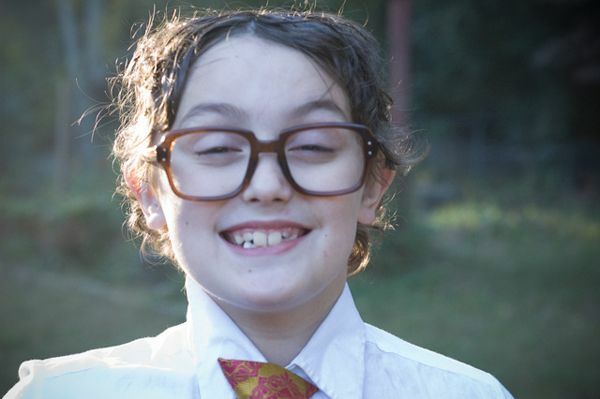 Of course I should have known that Modern Kiddo readers are crazy clever and ya’ll turned it out with some spectacular costumes (I mean, I can’t lie. I was secretly hoping to see some goofy fun disasters but there isn’t a clunker in the bunch!). Take a look at some of these fantastic creations. Seriously guys….you are so talented! Let’s start with a bang, my friends. Beautiful Bela is one of the most creative kiddos I know—as is her mama Karen (of Misha Lulu fame). 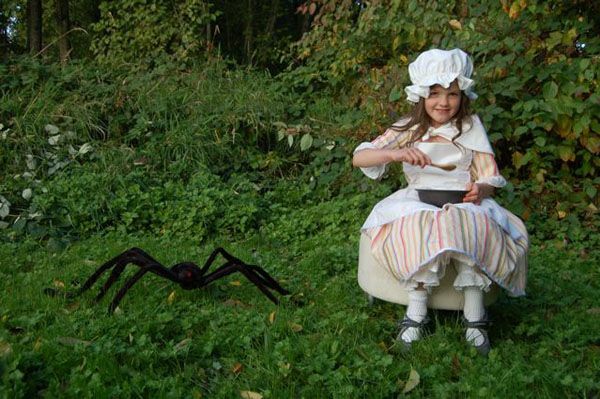 Check out this phenomenal Alice in Wonderland costume….complete with Rabbit’s house. Curiouser and curiouser! 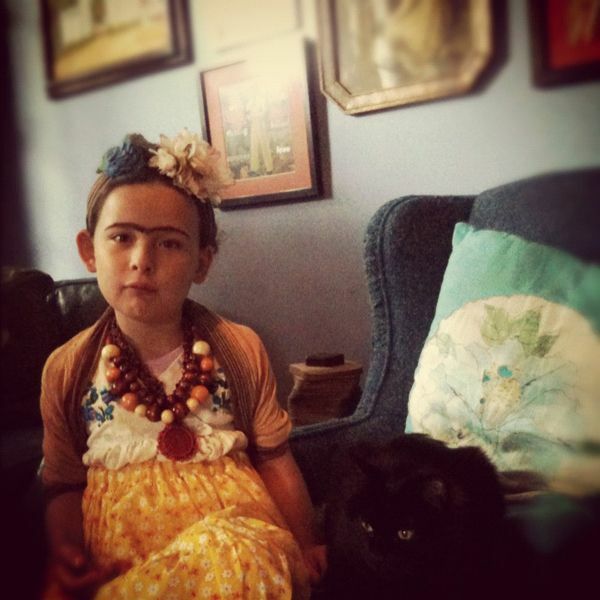 This is her as a pouty Frida Kahlo. I love it! 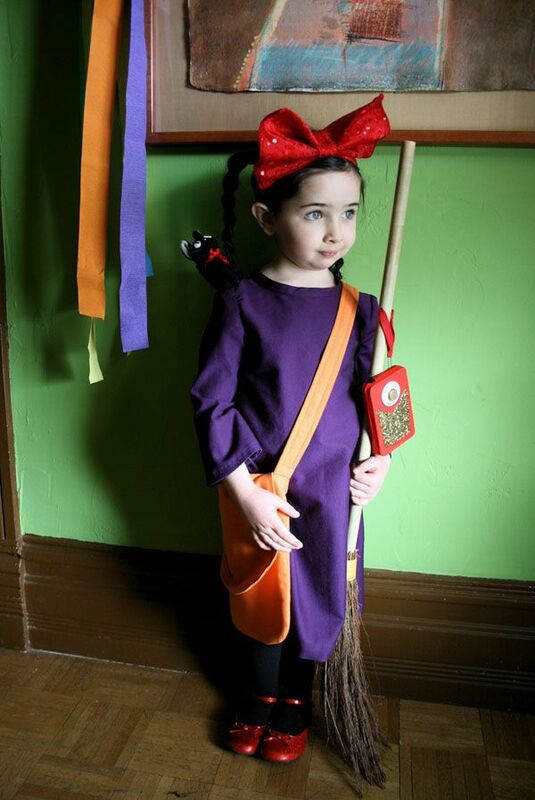 One of our favorite movies is Kiki’s Delivery Service. 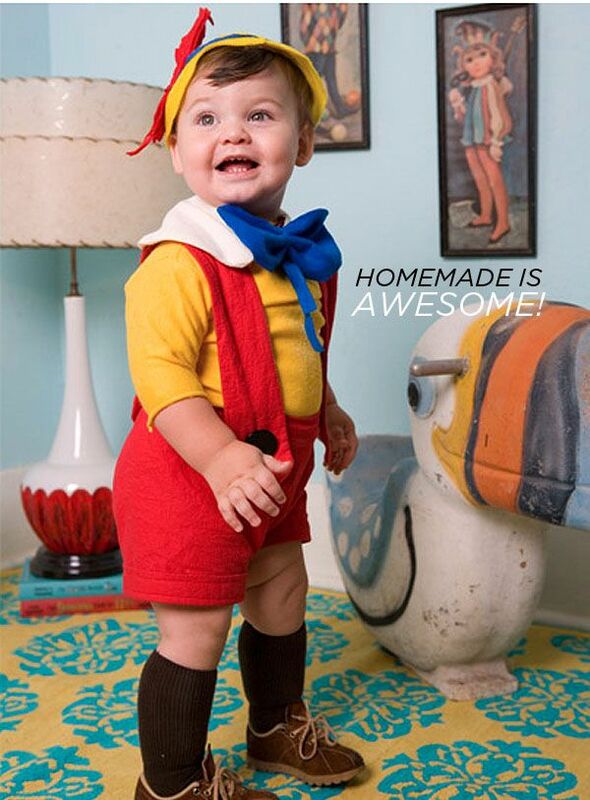 Melissa (bucktoothmama) made this outstanding Kiki costume for her sweet Sadie. LOVE! 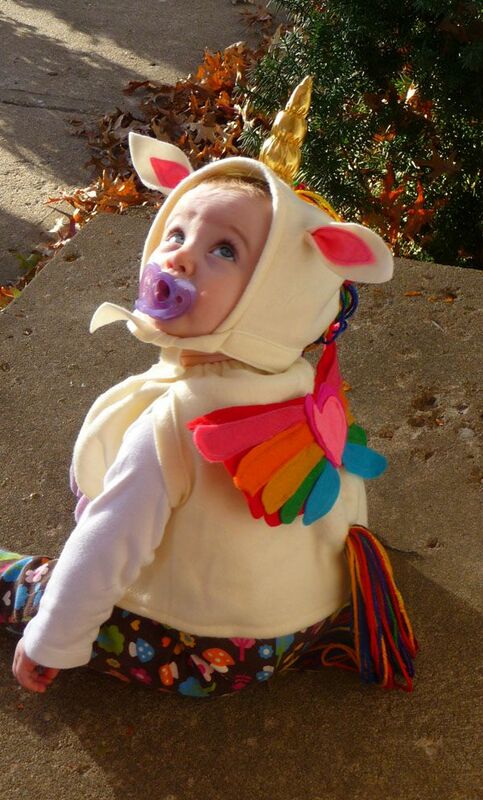 Awesome Kiddo friend Greta (of the famous Little Rainbow costume!) never disappoints. 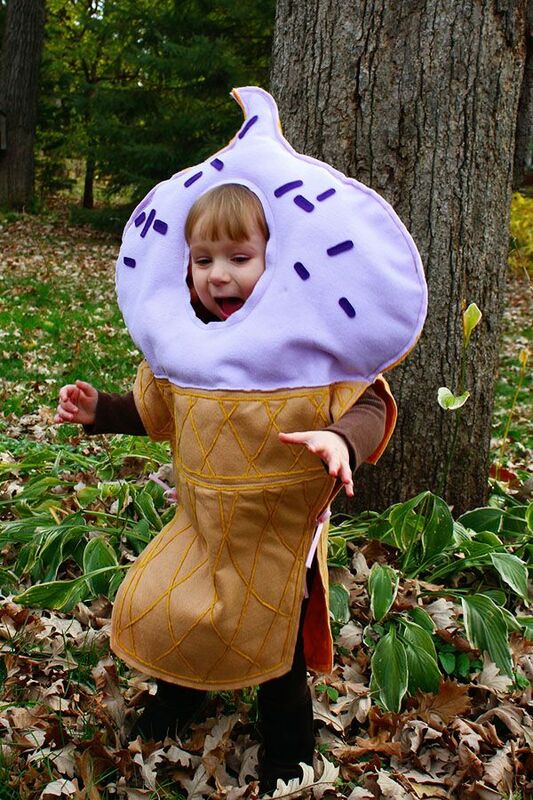 Sweet Olive went as an ice cream cone last year and it’s adorable! 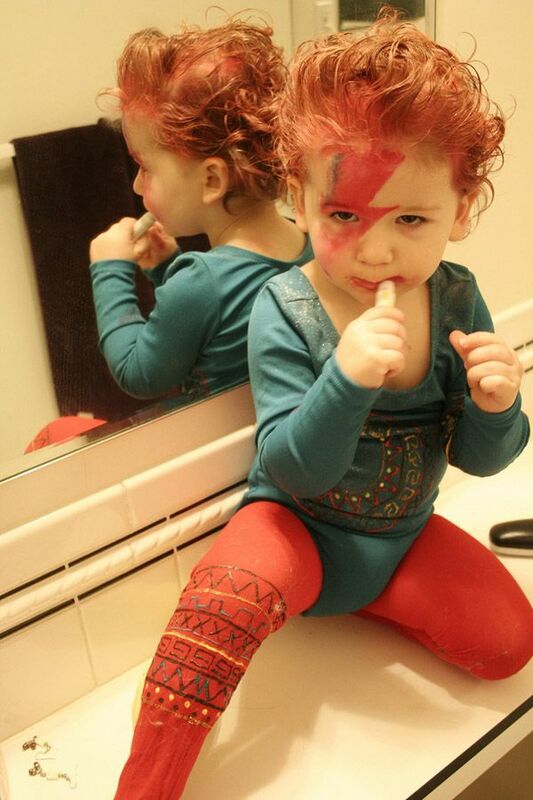 I really should save this one for the end, but OMG, would you get a load of Sarah Ivy’s amazing son Finn as Baby Bowie???? This kid, I tell ya. It’s a bird! It’s a plane! It’s the adorable Super Wren! 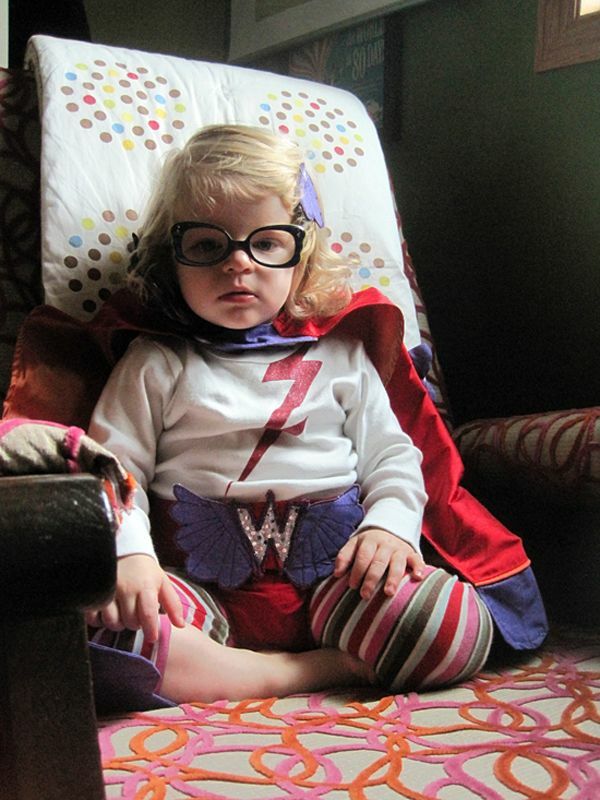 Her mom Mari (Small for Big) crafted up this crazy cute super hero ensemble and I love it! 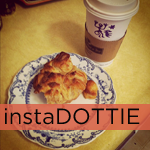 Well, HELLO DOLLY! This might be the cutest thing I have ever seen! Mama Stacey (hartandsew) turned her sweet Little Miss into a wind up dolly. It’s brilliant, no?? Stacey gave us a little peek into her genius simplicity: “The dress is a vintage dress from my shop. The Wind-up Key was made out of a toilet paper roll, styrofoam ball, and cardboard cutout, spray-painted gold. 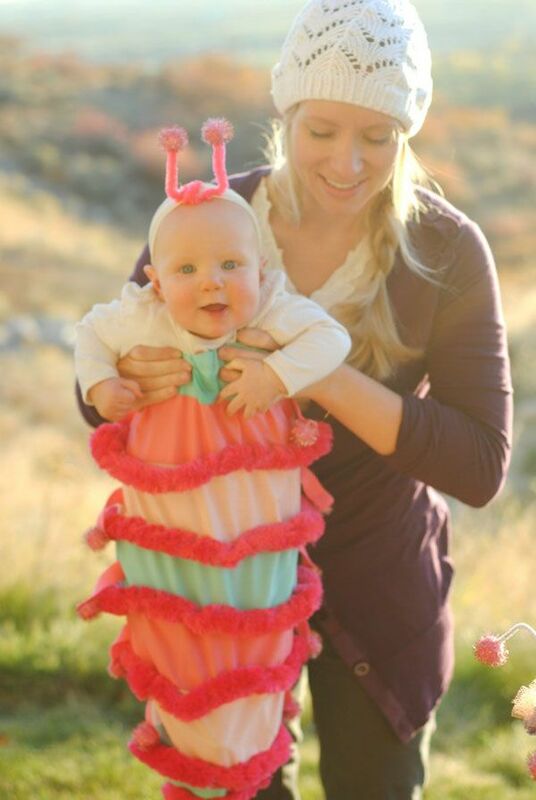 Elastic bands around her arms are attached to the toilet paper roll by brass paper fasteners!” The following year she and her sister went as a butterfly and caterpillar. I love this too! How about this adorable (a-thorable??) 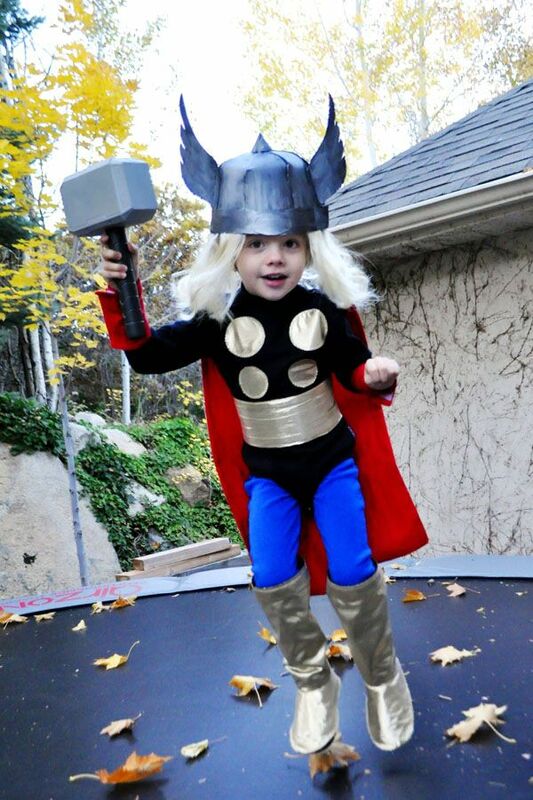 Thor! 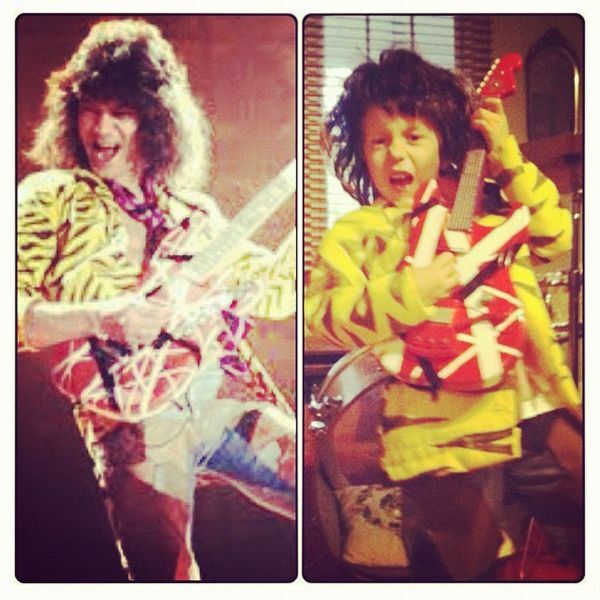 Amazing mom Cheri (i am momma hear me roar) made this rad out fit for her little guy! Check out how she made it here. 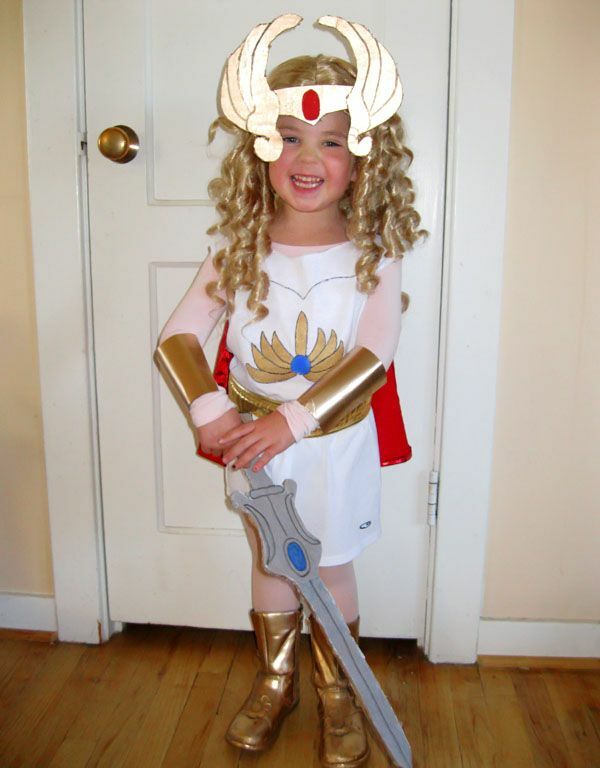 The darling Isabella was a phenomenal She-Ra! This is SO GOOD, friends! 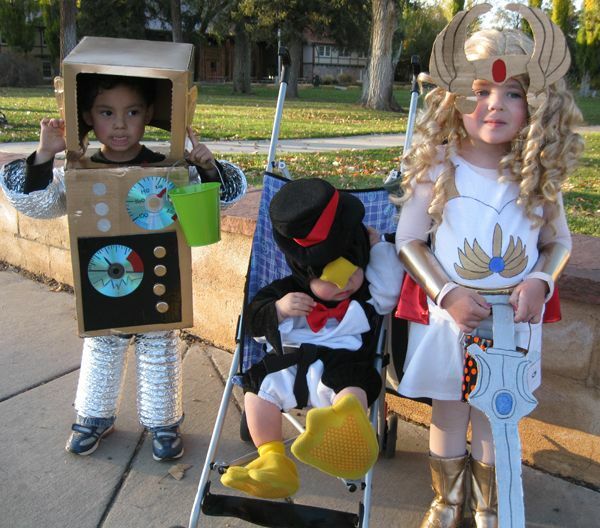 Her siblings were not to be outdone, check out Vincent as the spunky robot (genius use of CDs on that robot!) and sweet little Donovan as a (sleepy) penguin! OK. This is amazing. 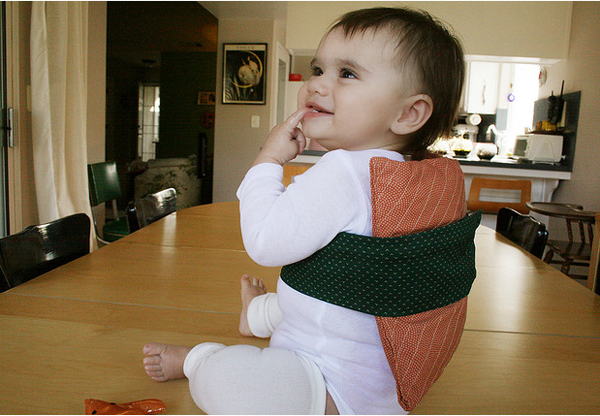 Carrie Anne (thelittlebigblog) turned her sweet cutie into Baby Sushi. BABY SUSHI!!!! Cuddly and cute. 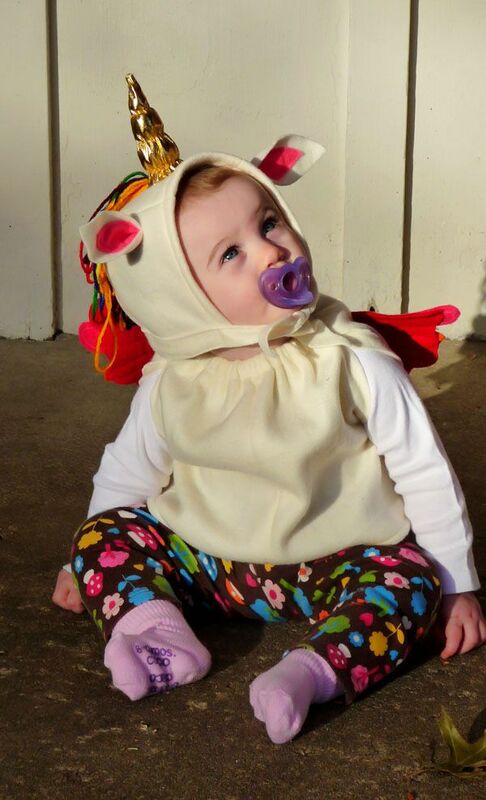 While we’re on adorable baby’s, how about sweet Matilda May as this little Bebe Unicorn? 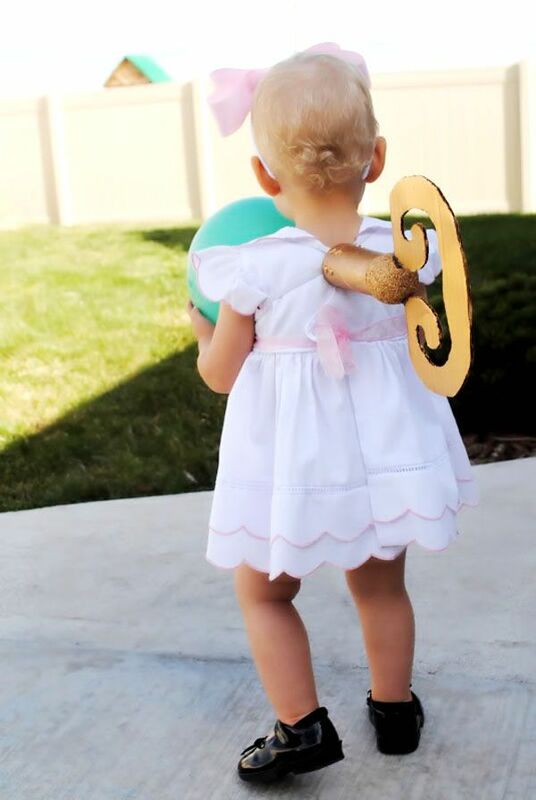 The wings are so sweet! 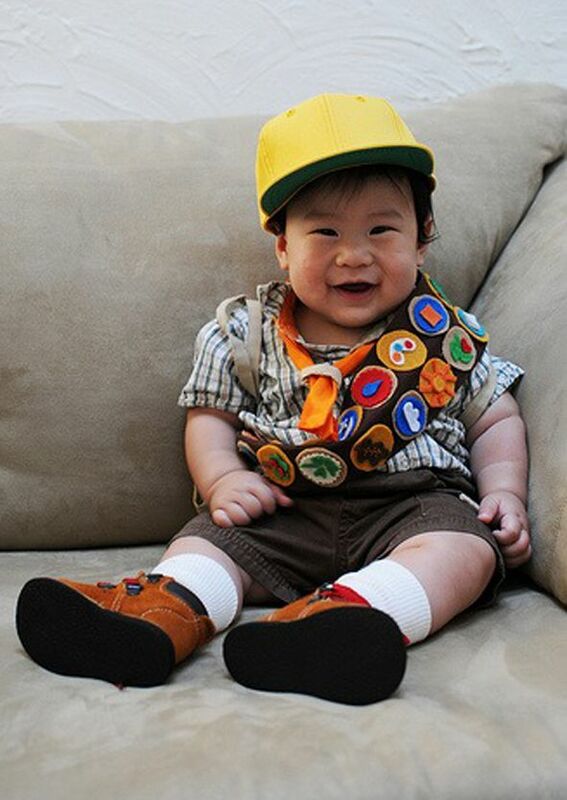 Little Miles dressed up as Russell from the Pixar movie “UP”??? Just kills me. Look at that widdle face! Melissa of (whileitrains) sent me these next two beauties. 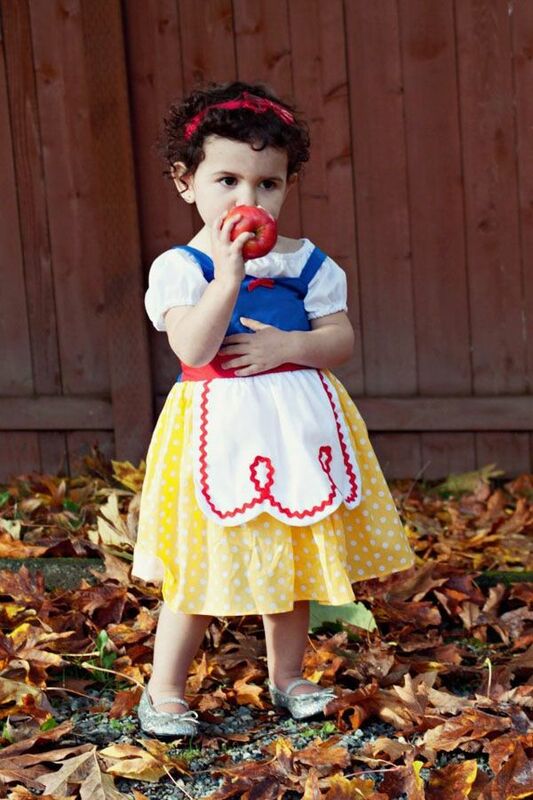 I’ve seen quite a few little Snow Whites in my time, but honestly little Stella is just 10x cuter than most! 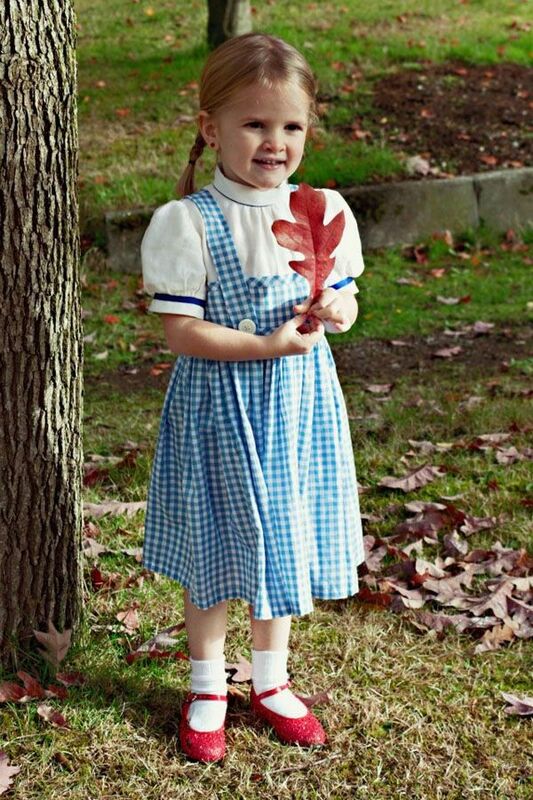 I also have a supreme fondess for Dorothy’s……and little Miss Rowan is so sweet! 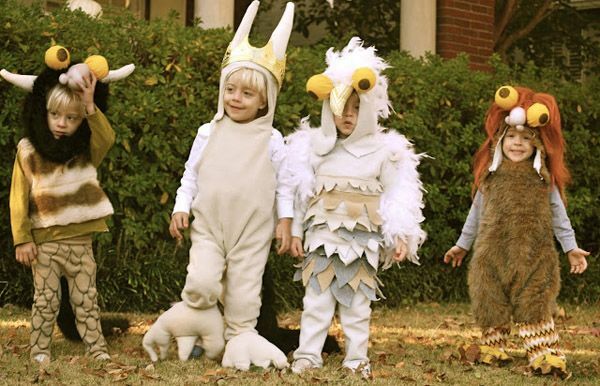 I’m not sure what’s more incredible, the fact that this woman birthed quadruplets or that she crafted up these GORGEOUS Where the Wild Things Are outfits for them!!!! (yes, that deserves four exclamation points!) You can see more of her beautiful boys here. 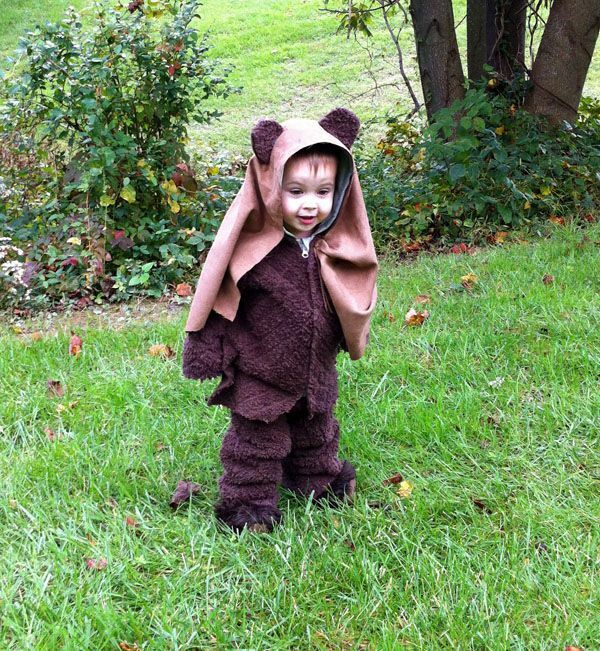 My friend Jess’ boy (mylittlemustach) little Judah as an Ewok is just crazy cute….part teddy bear and part hip Star Wars awesomeness! 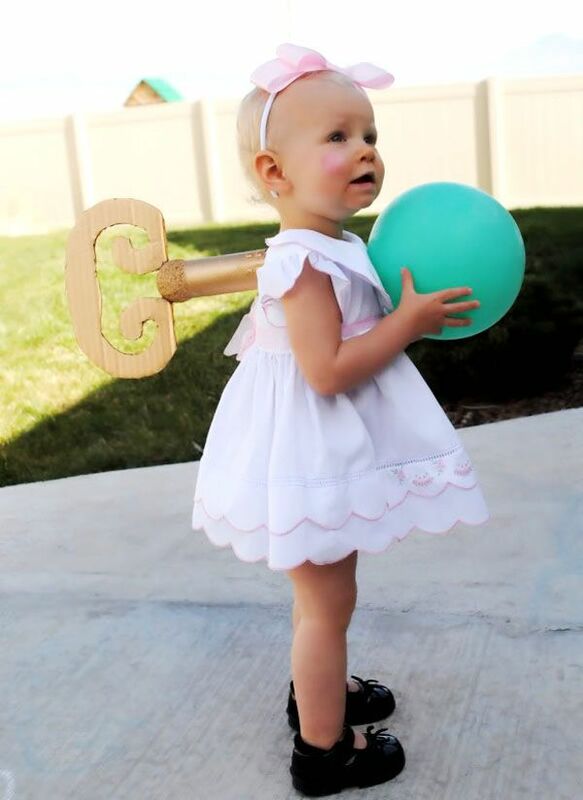 I love simple and sweet costumes and this one is awesome! 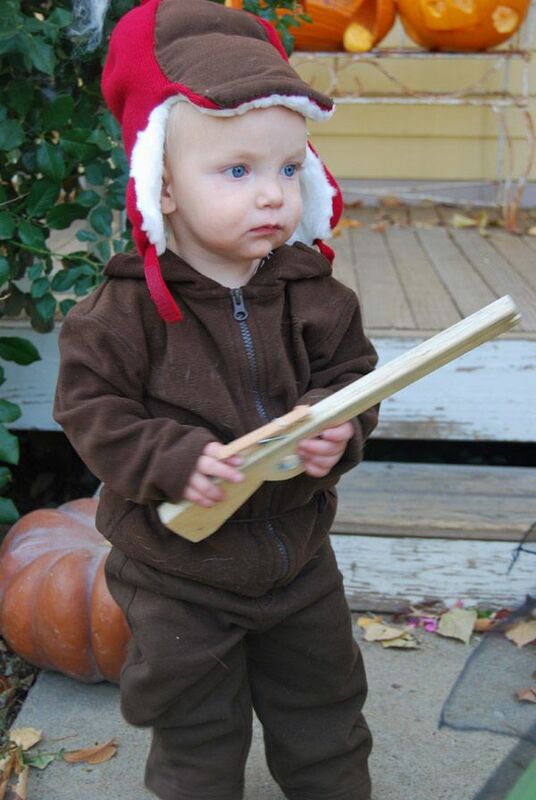 Little Eames as Elmer Fudd! Whaddup putty tatt?? 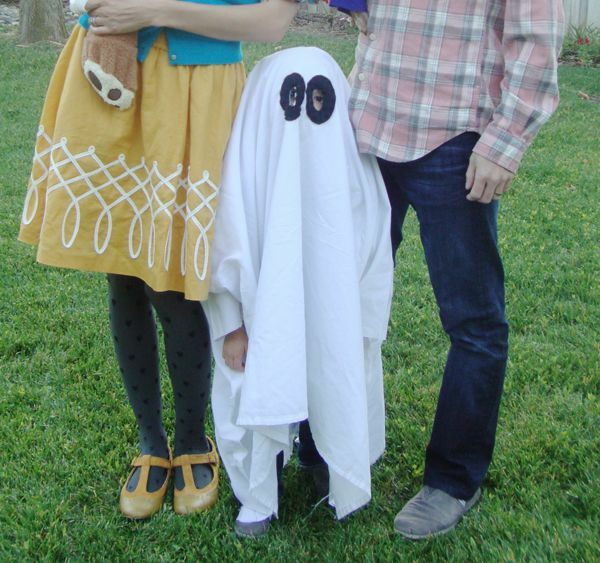 Katrina (CaliKatrina) stole my heart with the simplicity of her little Ewan in this little ghost. It’s SO Charlie Brown, I just love it! 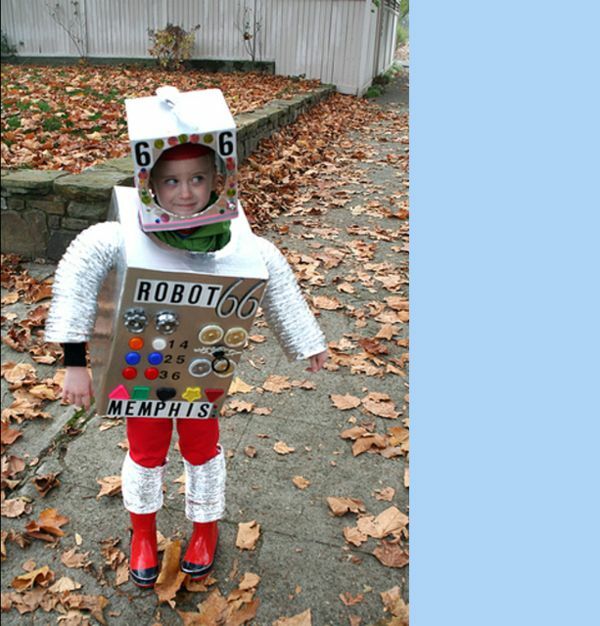 My friend Dawn loves Halloween….her little cutie Memphis went as a classic Box Robot— I love a good box costume!! Our friend Gabrielle sent us her two cutes boys, Arlo and Billy! Billy was one of our very first Weekly Kiddos and I just love seeing updates on him! His “retro” ghoul is fab! And Arlo’s knight is terrific! 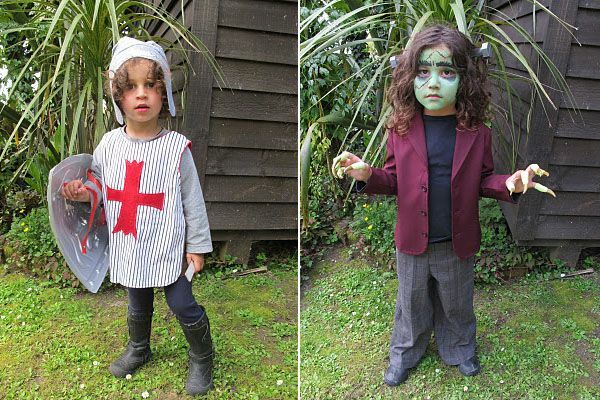 OK. As kiddos get older, they either tire of dressing up or they KICK IT UP A NOTCH! 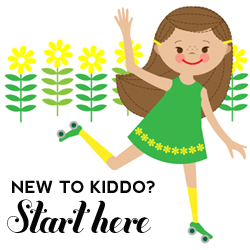 My talented friend Inessa (diaperstylememoirs) is of the KICK IT UP A NOTCH school! 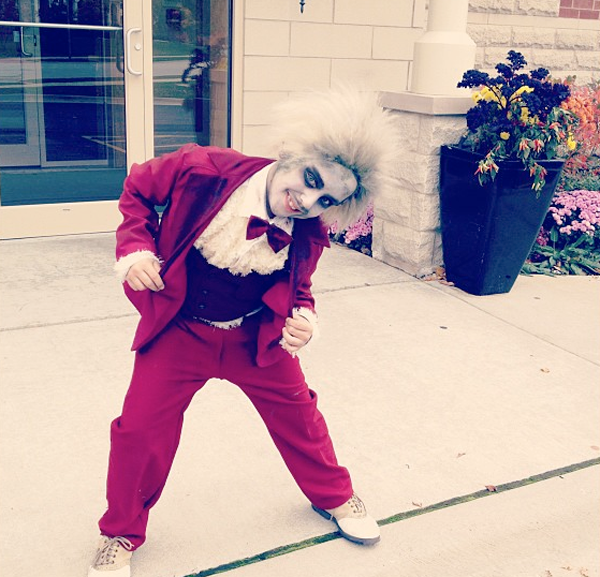 Check out her handsome boy (you’ll have to trust me on this one) as Beetlejuice!! Inessa really makes the BEST costumes! 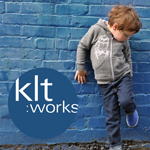 My friend James (bleubird) sent me these hilariously awesome shots of her two older kiddos. 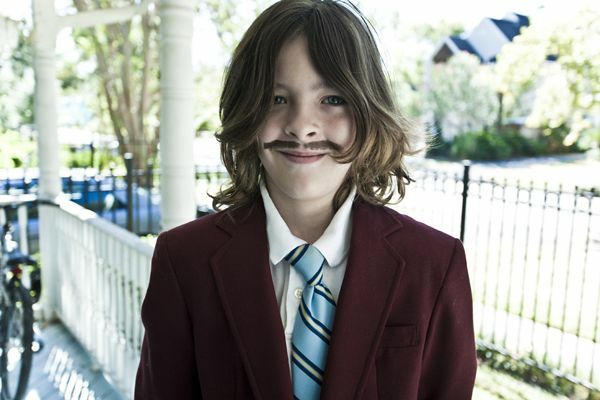 Julian is too funny as Ron Burgundy (from Will Farrell’s Anchorman!). LOVE IT! 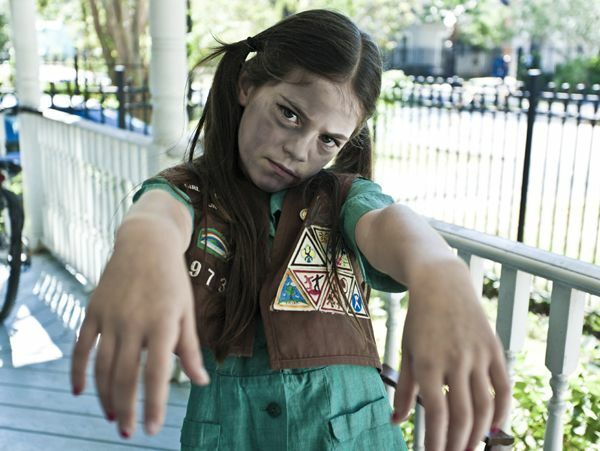 And the usually sweet Milla is brilliant as a super scary Girl Scout Zombie! So great! 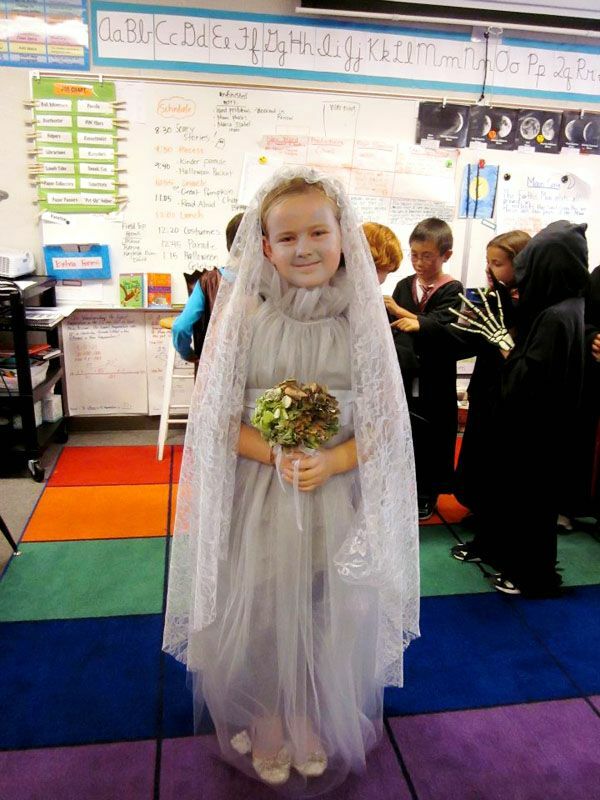 Our friend Krista’s little girl Izzy went as an amazing SPOOKTACULAR bride! It reminds me of the bride at the Disneyland Haunted Mansion. Love it! 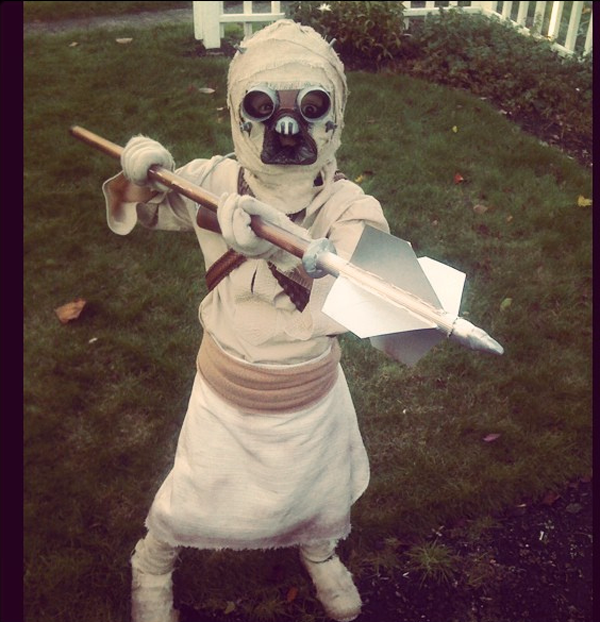 My friend Ward is super talented…check out this Sand Person (ahem….or Tuscan Raider) he made for his rockin’ boy Ezra. WOW! 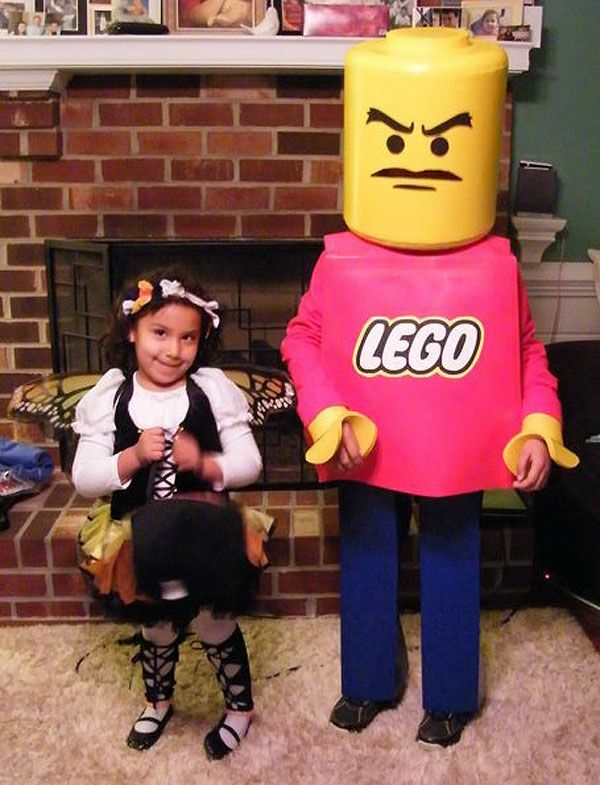 Reader Angel and her husband made this AMAZING Lego costume for her younger brother last year. How did they do that headpiece?? OK, Mollie Greene’s family had me in stitches! 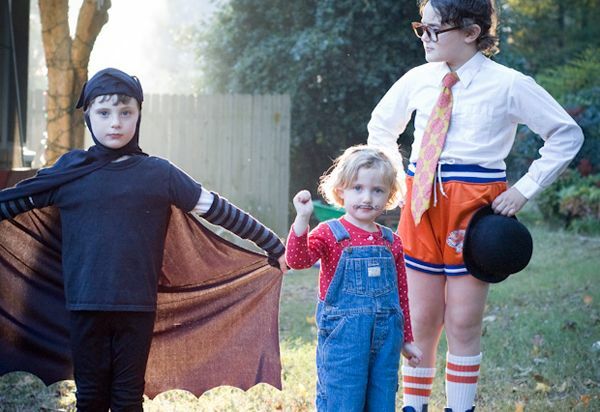 Each costume is terrific (Bat Boy Jude, little Lola as Super Mario and The Nerd, starring Henry) but something about them all together is just killing me! I always love when little girls opt for untraditional costumes. 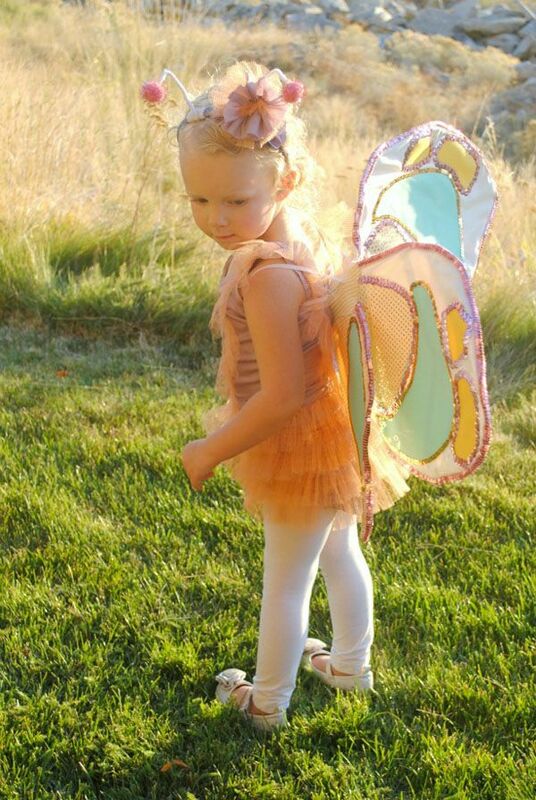 Katie’s sweet Paisley loves Peter Pan….but did she want to be Tinker Bell? Oh no friends. She wanted to be SMEDE, the pirate! LOVE! Here’s the whole family in on the action! Mama Katie (katiecupcake) is the lovely Wendy! 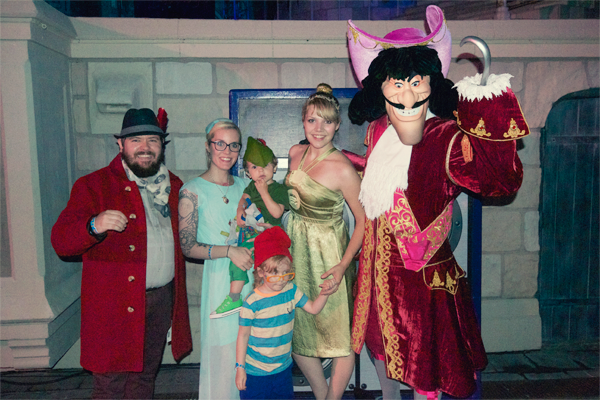 Our rockin’ friend Tiffanie (corner blog) has the cutest family—check them out as a Side Show extravaganza! Bearded lady! 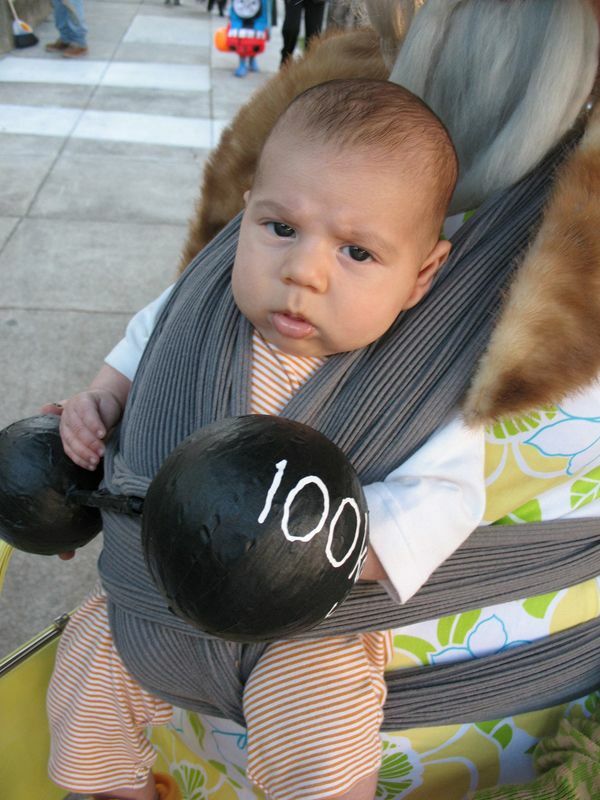 World’s Strongest baby! Sideshow Barker! Aaaaaand a sweet Dorothy thrown in for good measure! 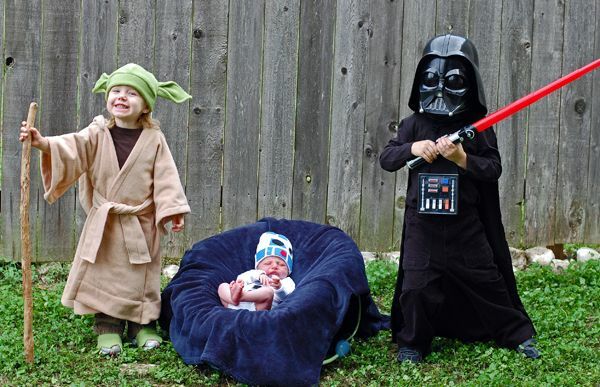 Little Josiah is a Star Wars fanatic so when he went as Darth Vader, sweet mama Jocelyn (thenestingspot) decided all the kids would follow along. 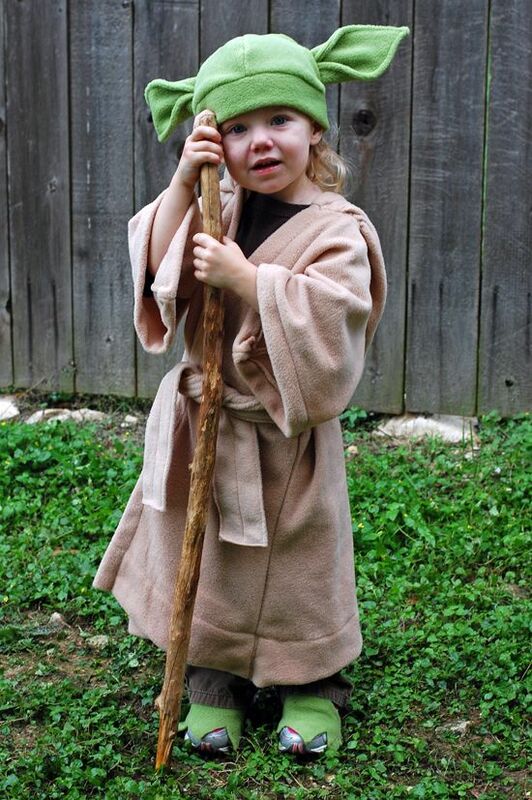 Sister Audrey was Master Yoda (in fact, Yoda was one of her first words!). 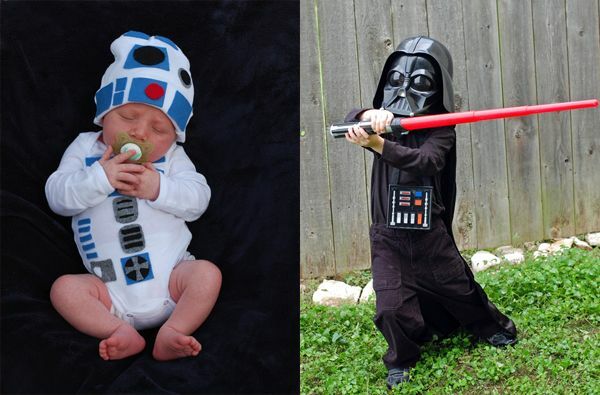 Little William was only 2 weeks old so he doesn’t have a lot of say in it all but he sure made a cute R2-D2!! 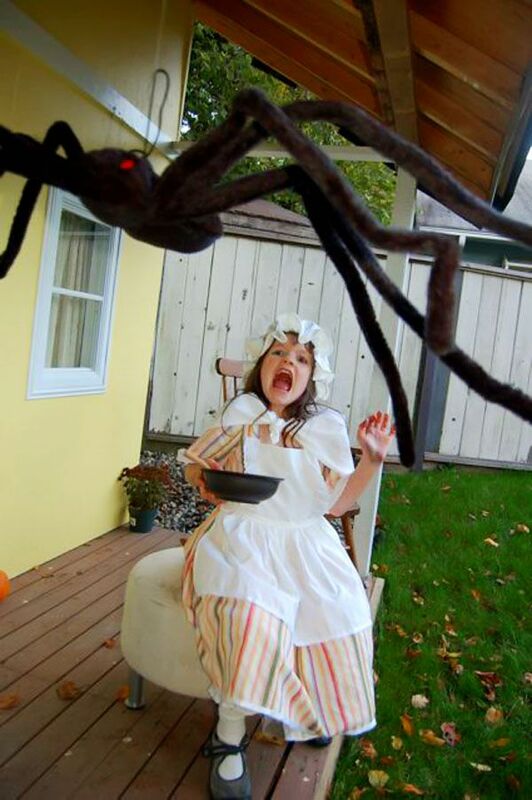 I am loving this Little Miss Muffet. Mama Shelley hand stitched it herself for little Lindsay—complete with bloomers! Her reaction is great! 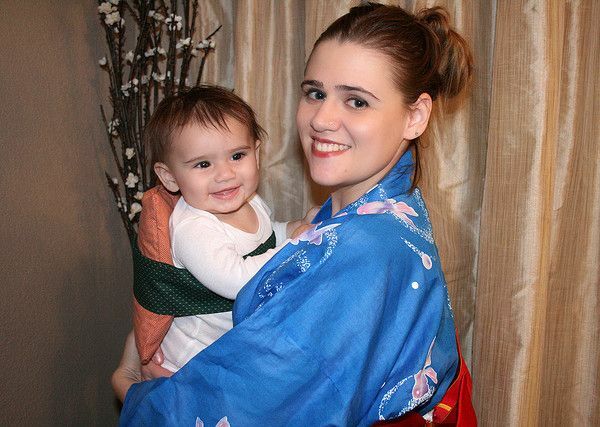 My sweet friend Katherine sent me this awesome photo of her and her sweet lil man Henry. I just love that wistful expression! 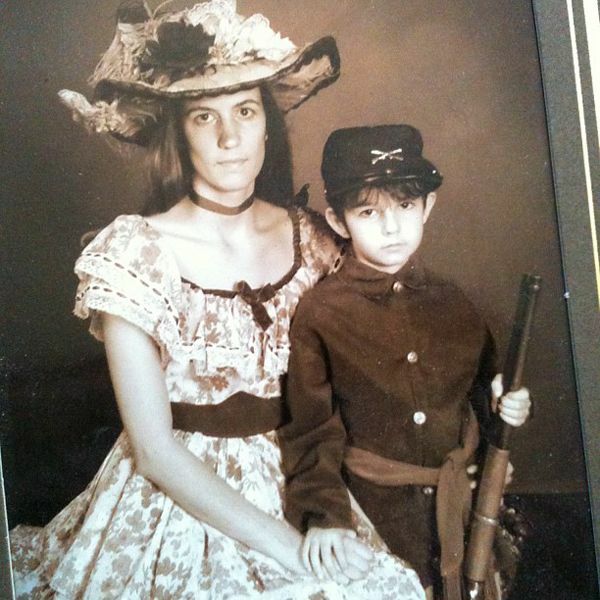 He totally looks like a little Civil War soldier! 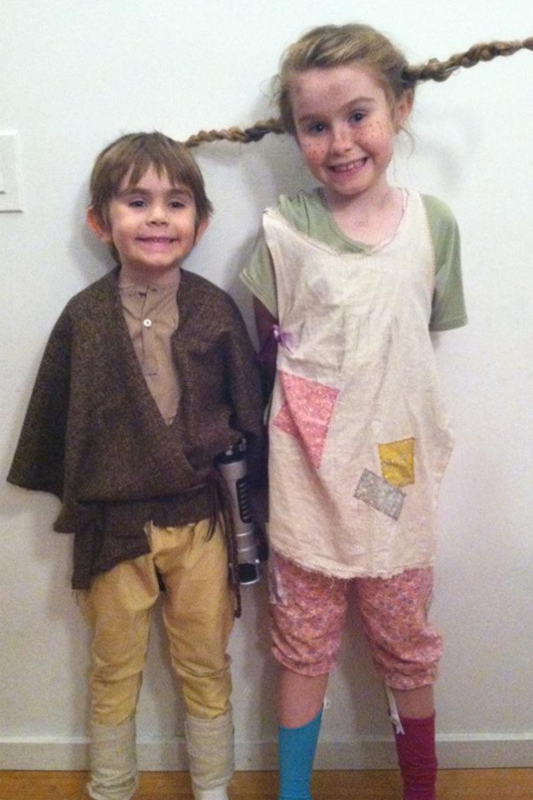 Sweet Holly sent us these two rascals…..PIPPI!!!!!! 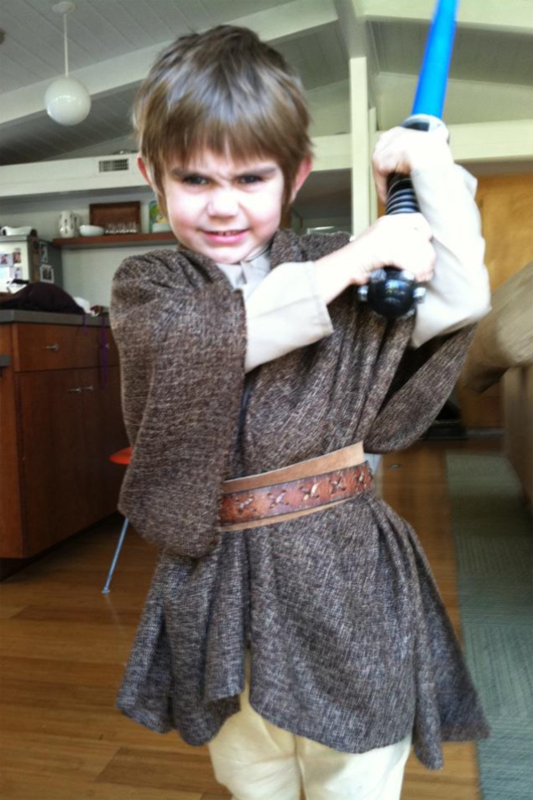 And a really enthusiastic (and adorable) Anakin! 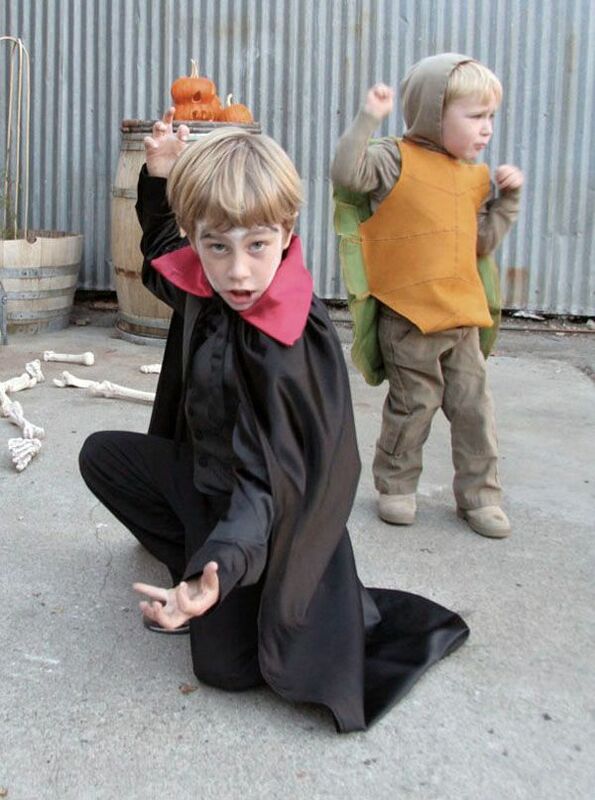 Etienne’s boy Oliver rules….here he is as a VERY dramatic vampire (with sweet Marlowe as the turtle!). 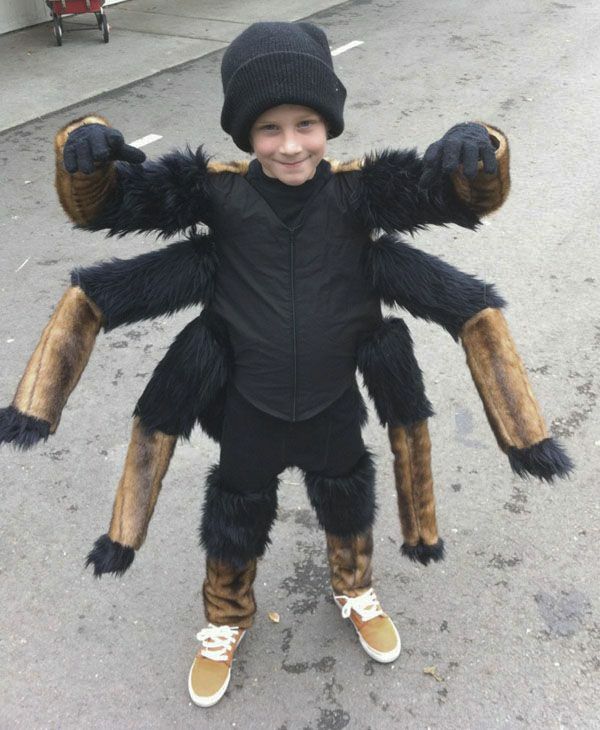 …and the year before, as a SUPER cool Tarantula. SO clever! Speaking of clever….look how amazing Tara’s little fella Jake is as Jonah in the Belly of the Whale!! His expression kills me….haha! And finally….we come full circle. 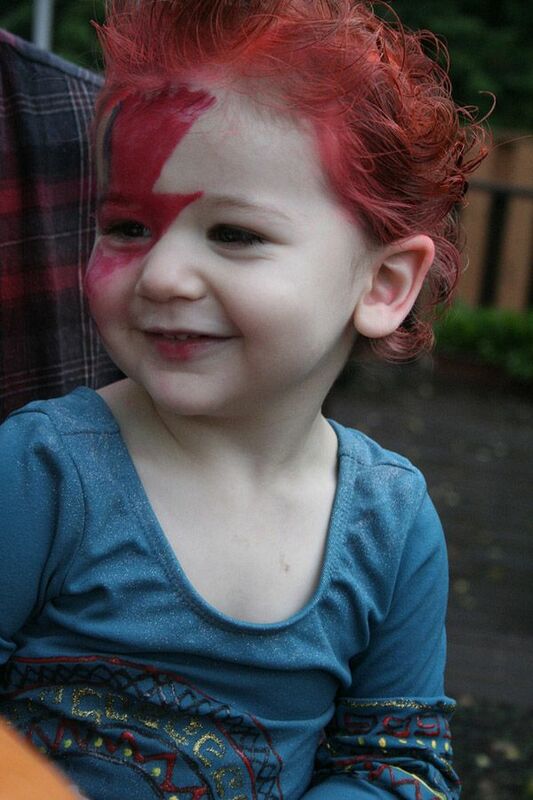 Remember little baby Bowie? 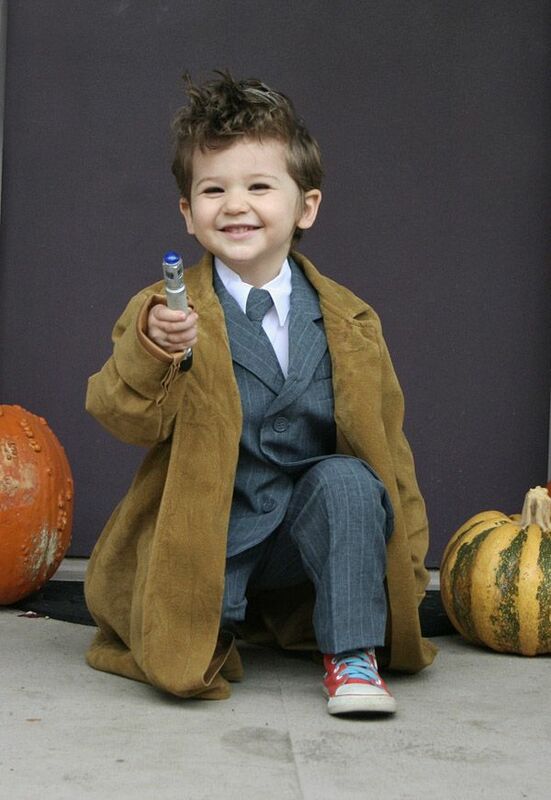 Well sweet Finn is going as Dr. Who this year! WHEW! So there you have it. I’m exausted. AMAZING stuff my friends! Oh, if you submitted a costume and don’t see it here, please let me know! It probably just got lost in the shuffle and I’m happy to add it to the parade! EVERYONE is invited!! 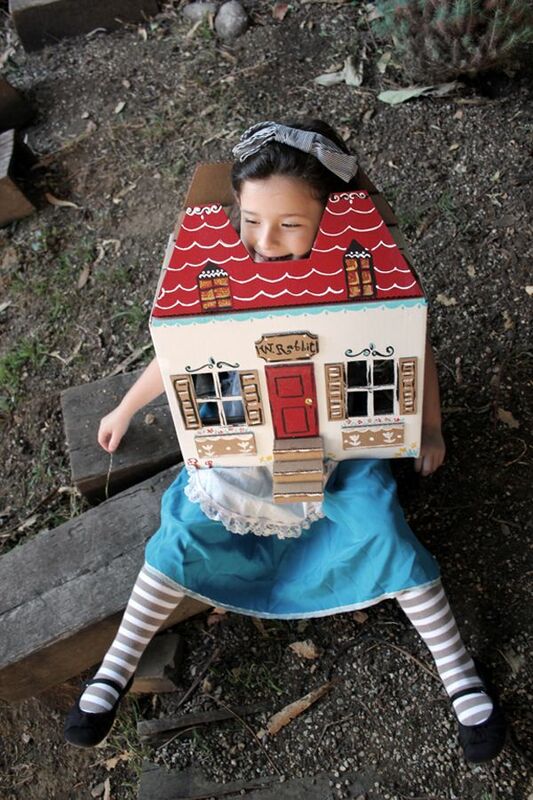 Can’t get enough of homemade costumes? 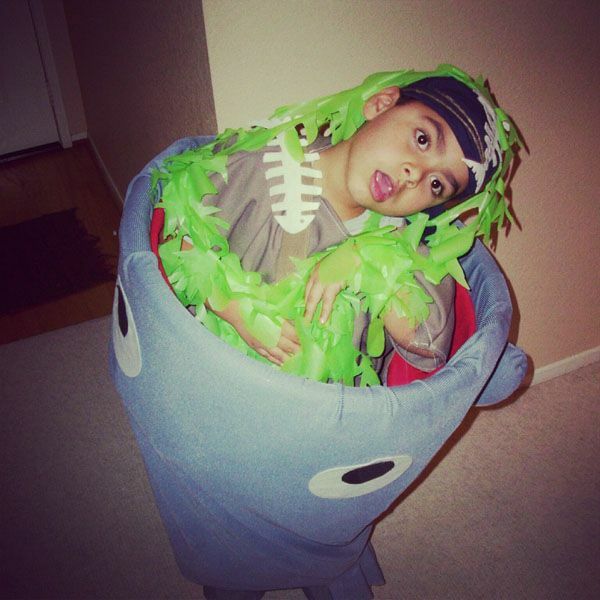 Check out last year’s Homemade Costume Parade for even more inspiration! 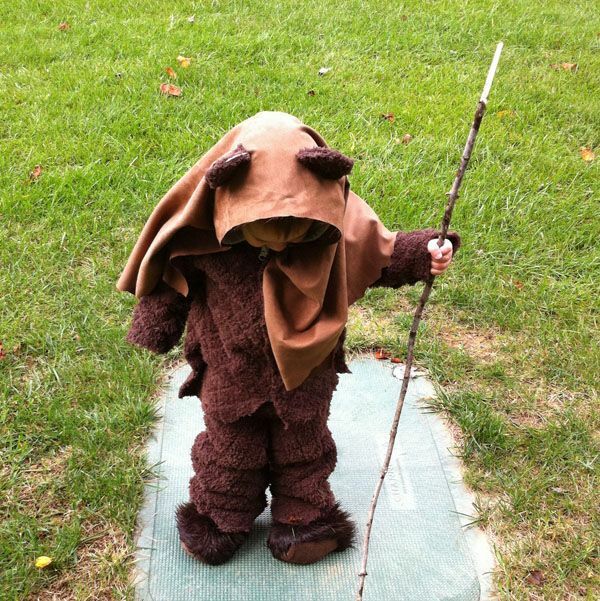 Tagged with best kids costumes, DIY Halloween Costumes, Halloween, Homemade Costumes. SO GOOD!! 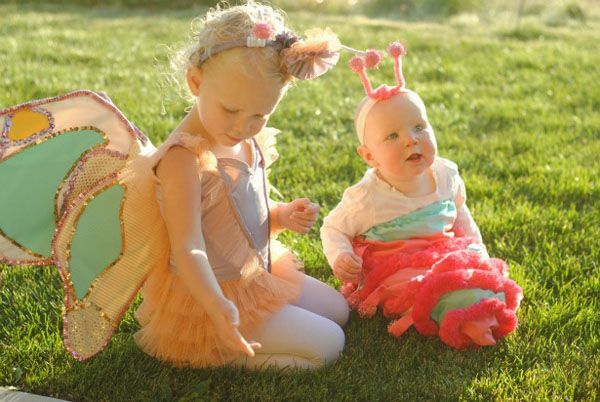 I usually don’t go too wild for Halloween but these costumes are amazing and make me want to be creative. The Eddie Van Halen one is KILLING me!!! OMG! I was in love with all of them and then… THE TENTH DOCTOR?! I swoon! 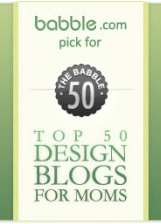 WOW this is a great list of inspirational funness. 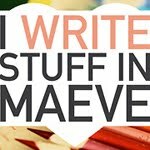 Hi Mari, I just posted a little more about it on my blog. Let me know if you need any more info. I’m happy to help a fellow fan!! Whooowheee! Those costumes are blowing my mind! The creativity of them all and they’re so well executed. Those just made my week. Fabulous. Loved the wind-up baby. But, that’s not all. What about that spider? Some amazing costumes. these are all so good it’s hard to pick a favorite but i’m partial to pippi. 1. because pippi rules and 2. i’ve known that little girl since she was born! Can’t tell you how much I love this post! I am in awe! And cute cute kiddos everywhere! Go Finn! my two favourite costumes! Great post! I was so excited for this after the amazing parade last year! 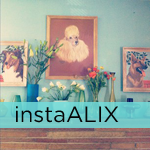 Good on ya, alix! And incredible creativity, kiddos and parents! Truly an inspiration to all of us Halloweeners! Thanks for featuring Sadie as Kiki. 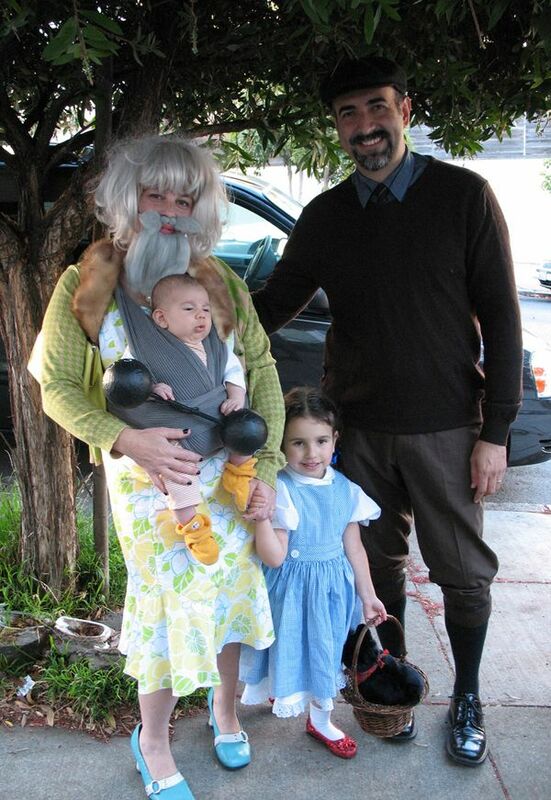 I love seeing all of the creativity of all these parents! Next time I am feeling down, I know which post to use as my therapeutic pick me up.